Sealed court records have been uncovered from a buried investigation that allege Scott Jones was feeding confidential law enforcement records to known methamphetamine dealers and identity theft and forgery crime ring when he was a deputy. 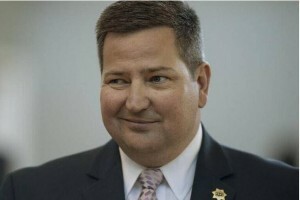 But under Sheriffs Lou Blanas, John McGinness, and Scott Jones, the Sacramento Sheriff’s Department has a long history of making internal investigations against deputies go “pending” for years. In the case of criminal acts, the statute of limitations runs out and no formal charges can be filed. It’s simple housekeeping. After all, what Sheriff wants to publicly take the heat for his agency (and its staff) being outed for misconduct? Better to handle it all internally. As the chief law enforcement agency in the Sacramento region, the Sheriff’s Department has the jurisdiction to investigate and arrest perpetrators (including rogue deputies) who break the law. Federal agency jurisdictional oversight and related investigations end at the identification of federal crimes (such as forgery of FDIC insured financial instruments, but not state law violations for things like the misuse of agency resources and breach of offender confidentiality requirements). And that is what went wrong… and offenders went Scott free. The Secret Service and FBI couldn’t do anything about a violation of state law, and the Sheriff’s Department held the investigation in limbo for years. In recently uncovered court sealed documents, now, long after the opportunity for prosecution has expired, Scott Jones’ fingerprints are all over a Sacramento identity theft and forgery ring. While working in the Sheriff’s Department, Jones (a licensed attorney), enjoyed rent-free office space at a nearby bail bonds agency in exchange for favors he would do for the owners according to court records. According to those records, the owners of the bail bonds agency were involved with activities which you can read about yourself. Witnesses observed Scott Jones being called upon to use his access to department resources to run criminal background checks and divulge confidential investigatory information to private parties. Numerous phone calls occurred between the theft ring and Jones, often times to his Department-owned desk phone and mobile phone, and computer access records revealed names were pulled up for people who had nothing to do with Jones’ official duties at the time of his assignments within the Department. 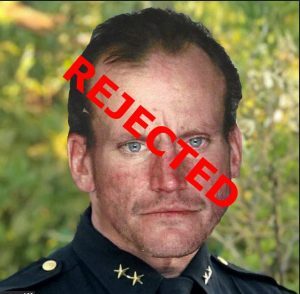 But it was up to the sitting Sheriff at the time, and his leadership policies, whether to pursue or not pursue any action against Scott Jones. Jones was questioned about his involvement in the theft ring, and ultimately was not charged. Jones was able to fall back on his attorney-client privilege which protected him from having to discuss what he was discussing with his clients on Department phones, and what “contracts” he was repeatedly working on, why he had to call up banks in which his clients were running forged checks through, and other extremely suspicious activities. Evidently there were more “contracts” that Jones “reviewed” for his private clients on Department time than any other bail bonds agency, anywhere. The Sacramento County Sheriff’s Department needs a complete leadership overhaul, beginning with who is elected as Sheriff. It is going to take someone from the outside to come in and clean up the department. An insider, who has been part of the problem, can never be expected to bring about the changes necessary to bring forth the integrity, transparency, and equality to the Department that Sacramento taxpayers deserve.